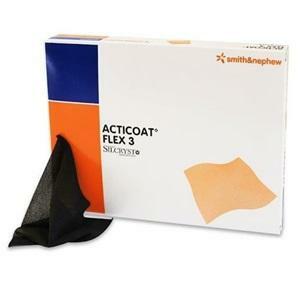 ACTICOAT Flex are effective antimicrobial barrier dressings. The Nanocrystalline silver coating rapidly kills a broad spectrum of bacteria in as little as 30mins. ACTICOAT Flex consist of a single layer of knitted polyester to ensure ultimate flexibility and comfort during wear time for the patient.